Funeral services for Mrs. Florence Norma Brown will be held at 1:00 p.m. Tuesday, March 27, 2018 in the chapel of Gallagher Funeral Home in Ball, Louisiana, with the Reverend Kenneth Brown officiating. Burial will follow in Forest Lawn Memorial Park, also in Ball. Visitation for Mrs. Brown will be from 11:00 Tuesday morning until the service at 1 pm. Mrs. Brown, age 88, entered eternal rest on Saturday, March 24, 2018 at Brookdale Senior Living facility near her home in Alexandria, surrounded by her loving family. 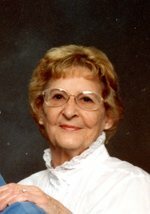 Mrs. Brown was a devoted and active wife, mother, and grandmother. She also worked as a secretary at Horseshoe Drive Baptist Church, then for architect Woody Gill, and lastly at Louisiana Baptist Temple in Alexandria. Mrs. Brown is preceded in death by her parents, Levi and Sara Britain. She will forever be missed by those who loved and knew her. She is survived by her husband of 63 years, retired USAF SMSgt Crawford “Pete” Brown of Alexandria; a daughter, Patricia Brown of Natchitoches, La. ; three sons, Kevin Brown (Donna) of Deville, La., Kenneth Brown (Mani) of Walker, La., and Mike Brown (Kathy) of Hamilton, Ga.; and seven grandchildren, Patrick Brown (Lauren), Skyler Brown (Courtney), Tanner Brown, Tayler Brown, Ruth Brown, Reuben Brown, and Raanan Brown. Friends may post online message of condolence for the Brown family by visiting www.gallagherfh.com.